"Thank you for supplying such an AMAZING floral tribute for the funeral of Douglas A. McPherson, beloved Father to Stephen McPherson. We are in the UK and could not come to the funeral but we explained over the phone that Douglas was a fighter pilot in the United States Air Force and retired after 23 years at the rank of Lieutenant Colonel so we wanted something appropriate. You took so much time and thought in creating a tribute that truly excelled our expectations. Whilst we sincerely hope and pray that we will never need another tribute for a funeral, we would never hesitate to recommend your services and use you again, preferably for happier occasions. Good wishes always for your continuing excellent services! -- F. Garrett"
"Living in Beavercreek I have used your services several times. Recently I lost a member of our family. Sending flowers to Miamisburg (a non delivery area for you) I was amazed by your staff. Not only did they contact a competitor to get them delivered, but the young lady that waited on me she if that didn't work, she would take them herself on her way home since she lives in the area. That's 5 star customer service ! - Tom R."
I ordered flowers for Janice B. ( my mom ) and they were delivered yesterday. She just loved them and is getting my brother to take a picture of them to send to me as I live in San Diego and had to order blindly. Thank you for your help and I will use you in the future for all my floral needs. Thank you so much for helping us with our order. I must admit that I thought it would be a total nightmare trying to organise funeral flowers from the UK with such a short deadline, but you just made it all seem so simple and it was a pleasure doing business with you. Thank you again for your superb customer service. Just wanted to tell you that yesterday my Son from Chicago had ordered flowers for a surprise Birthday Party for me at the Wellington Grill. Which they were and they were absolutely gorgeous. I LOVE them and had to call to tell you how beautiful they are. 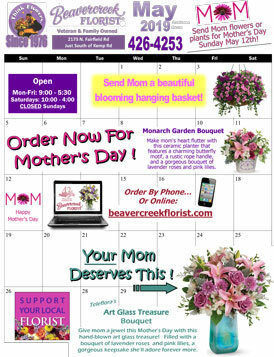 I always use Beavercreek Florist and you always are the best! Just a quick thanks to all those "Elf" helpers who put flowers on all the Mom's tables. Mom just loved 'em. I loved the arrangement (Funeral Easel) and was very proud! I will be your customer for life. 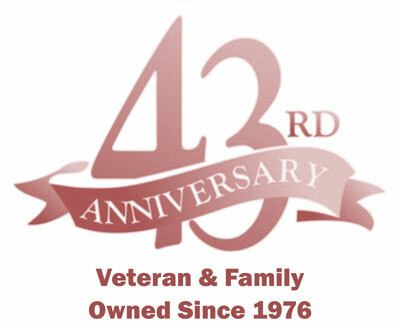 We have always used Beavercreek Florist. The dozen roses you delivered have been gracing our house for the last week! They are beautiful! To this day they are absolutely gorgeous. Really like both the fragrance and color. Purchased a poinsettia and it is still beautiful! I would like to get more flowers for my home, but can’t since it still looks so good! Jennifer, On Oct 4th, I suddenly realized I had forgotten my son’s birthday. It really upset me. I called my florist and she kindly called your florist and you took his plant to him for his birthday. Thank you so much for your extra effort to get them to him. I forgot to ask you to let your brother know about the complements on the flowers we ordered for that funeral. Mike’s mother went to the viewing and said they were one of the largest and nicest arrangements there. John S. told Mike and I the same thing. He seemed very touched and asked where we ordered them from so they were a definite hit! So thank you, and your brother’s shop, for the nice job!